Simple, real ingredients create the best taste. 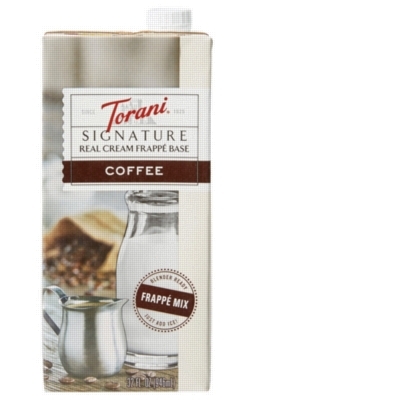 Simply blend this real dairy cream base with your syrup, fruit, or sauces to make extra creamy, velvety frappés - 100% Arabica coffee is already added to the mix! Coffee Real Cream Frappé Base is a slightly sweetened, creamy flavor that offers maximum versatility. Simply a better way to frappé! One case = 8 cartons. Shelf stable until opened. Refrigerate after opening.